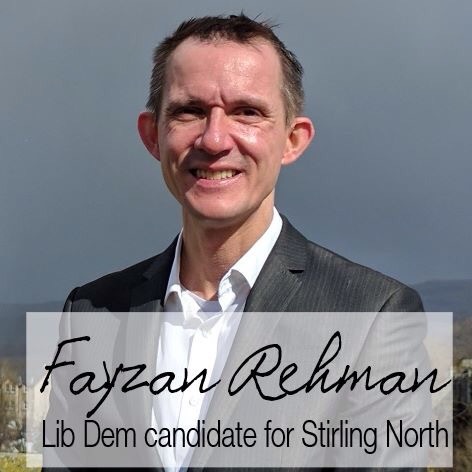 Following the Brexit result, Fayzan Rehman was compelled to jump into local politics as a candidate for the Liberal Democrats in Stirling North. Fayzan began by reiterating to Brig the point that fellow Lib Dem Stuart Auld had made about the effectiveness of coalitions in local government. He explained: “Now more that ever, with the issues currently facing us at local, national and international levels, it’s imperative for people to vote for what they believe in. “The Liberal Democrats have had a long history of working hard within local authorities, successfully delivering on the priorities that voters have voted us in on. In his manifesto, Fayzan is pledging to provide better access to mental health and social care services. He said: “I have had personal family loss due to poor access to mental health so for me it’s a personal issue,” he says. “My work on transforming rehabilitation of offenders from prisons made me see the link to prisoners and mental health. This is a matter Fayzan feels the Lib Dems are more than capable of delivering on and believes this is achievable by doubling the budget for mental health services while providing more training for health care professionals. As well as this, Fayzan mentioned greener rented housing with lower utility bills and said this is something that housing across the board needs. He said: “I’d like to explore what can be achieved at a local level for both council and private sector housing. “All rented accommodation needs to have an Energy Performance Certificate, and I think it could be good to focus on compelling landlords to comply with EPC assessor recommendations as to how to maximise energy efficiently in each property. Fayzan believes that Stirling Council and the university need to work as a partnership on certain issues such as housing. He said: “Any new business planning request for housing on campus by the university, or off campus by a private developer would require consent from the council. “So the council would need to be engaged as part of the development proposals. The council is responsible for local development plans that take account of the needs of its residents, businesses and the environment. Over the course of the council elections campaign, the Lib Dems have shed particular importance on creating jobs, especially through the City Deal. Fayzan explained: “I want to ensure that the City Deal is not just some proposal that gets forgotten about but actually delivers real jobs at all levels of experience. “For example, it mentions about setting up a Digital Hub, which focuses on high-tech skills. “Another part of the deal seeks to better link together our cultural assets to be more of a cohesive tourist trail, which could generate jobs. As a party, the Liberal Democrats nationally supports staying as part of the UK and opposes leaving the EU. Fayzan argueed that his party is now the only party that represents the will of the Scottish people. He said: “For the last two referendums, the majority of Scots voted to stay in the UK and EU. We are now the only party that represents the will of the Scottish people. 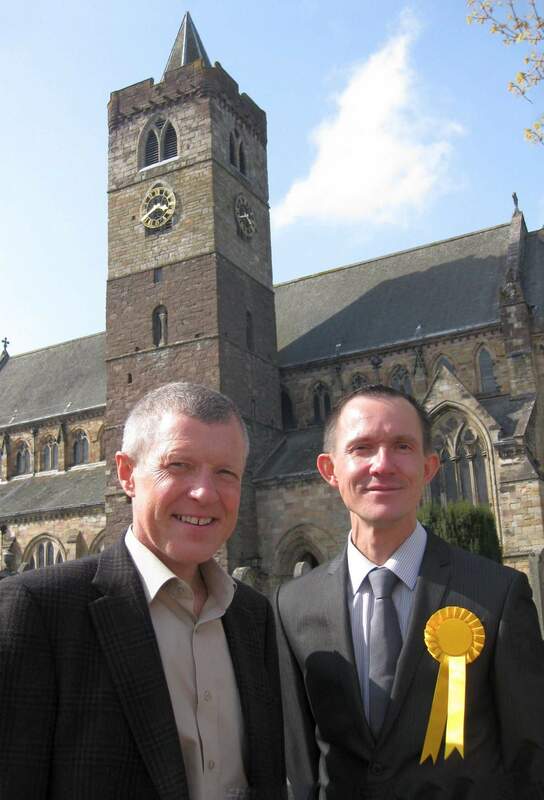 “Lib Dems seek to keep our country open tolerant and united, so in my local leaflet, I stated that we in Stirling welcome EU citizens. “I’m demonstrating that locally, we can make a stand against abhorrent views of xenophobia. “Parties that are nationalistic are divisive. The SNP and Greens keep pushing for independence, which is divisive. “The Conservative lurch to the UKIP English nationalistic right, aping their values is divisive. This point lead to a discussion about the announcement of the snap election, and whether this was the Liberal Democrats’ time to reconnect with voters. Arguing that it is, Fayzan said: “Theresa May sees it as an opportunity to consolidate her position. “However, the latest YouGov poll shows that more and more people are now thinking Brexit was a mistake. While the general election could open many opportunities for the Liberal Democrats, Fayzan did admit that it is problematic for Scotland’s council elections. As the interview drew to a close, Brig gave Fayzan the opportunity to discuss one point that he thinks gives him the advantage over all the other candidates in Stirling North. He said: “I’ve provided a positive vision for how Stirling can be in the future, for everyone in society.